Accoring to the new report of IDC. 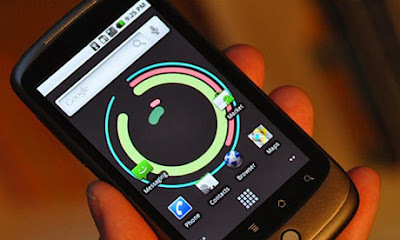 It can be possible that Google Nexus One android operating system could overtake iPhone and Blackberry in near future. Android will rise to be the second most used mobile OS in the world by 2013, according to a new IDC estimate. Analysts still expect Symbian to hold on to its lead but that Google's OS will have grown 100 times larger since starting off in 2008, reaching 68 million phones three years from today. The prediction doesn't immediately gauge the position of BlackBerry, iPhone or Windows Mobile but expects all three to be eclipsed. The upset would come about as a virtue of the Android ecosystem. As more companies start making Android phones, the platform should become the default choice for those who aren't making their own operating systems and will replace both Linux and Windows Mobile in these areas. Apple and RIM are the only manufacturers for their platforms and limit their exposure as a result. Nokia's security, meanwhile, should come from its established dominance in areas outside of North America. Linux and webOS are the only major platforms expected to struggle, as the former will likely lose out to Android while webOS' relatively limited availability could hurt, even as it grows overall. Android remained small for most of its first year but has rapidly grown through late 2009 and early 2010 as companies like Acer, Dell, LG, Motorola, Samsung and Sony Ericsson have all launched their own phones using the software. In some cases, companies have either started off using Android for their first smartphones or even replaced some if not all of their Linux and Windows Mobile devices with the more modern, open OS.